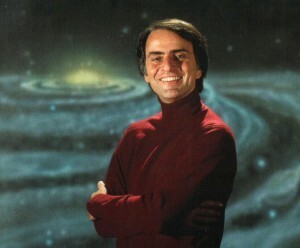 November 9 has been celebrated for a few years now as ‘Carl Sagan Day’, with the first occurring in 2009. Carl had an amazing ability to translate the complexities of space, science, and astronomy into beautiful, inspiring poetry that connects each of us to one another. He began as an astronomer, but his way with words allowed us to explore the universe along with him. I actually have a couple of his books on my nightstand right now, and even though they’re 30+ years old, they still read wonderfully – even if they are somewhat out of date. But incredibly, they aren’t that out of date, as Carl had an uncanny ability to see what was coming. To read more about Carl and his day, head to the Center for Inquiry website. Carl Sagan also comes up in my posts somewhat regularly, here they are.